Where Should I Stay in Florence? Home → City Guides → Where Should I Stay in Florence? 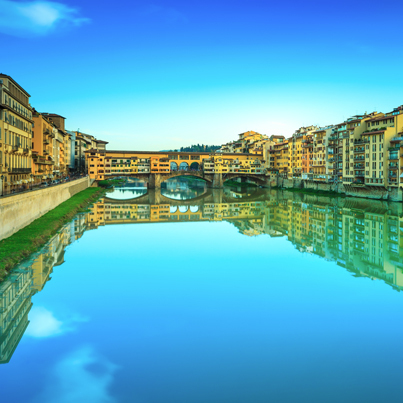 The city of Florence has a fascinating history and has been known worldwide as world center for arts and culture. It is the birthplace of Leonardo da Vinci and the setting for the famous Pinocchio fairy tale. According to UNESCO it is home to almost one third of the world’s most treasured works, from the Renaissance right up to the 21st Century. Modern Florence remains a thriving city, which has lost none of its historic charm over the years. Nestled into the heart of Tuscany, one of Italy’s most beautiful regions, a visit to Florence is sure to be time well spent. The city is quite compact, its mountainous location having prevented it from sprawling out too far, however; there are a few different areas to consider staying in. Each has its own charms and flaws, depending on what you hope to get out of your trip. Use this ultimate guide to determine where to stay in Florence. 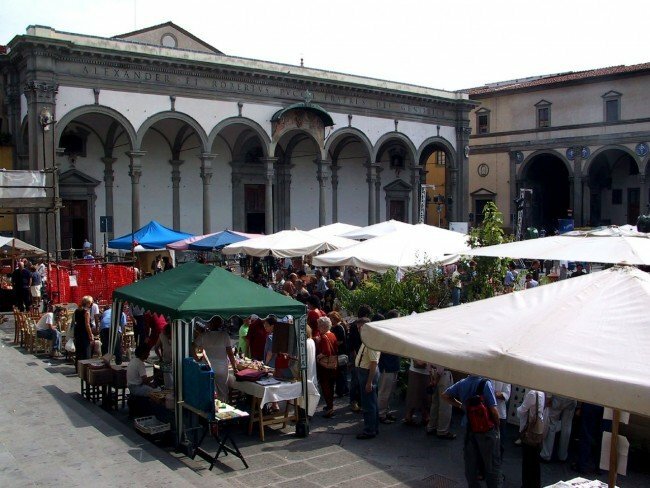 The covered market in Florence’s Historic Centre. Image: James Temple via FlickrCC. The majority of the city’s tourist activity happens in the streets surrounding the historic center. Most of the main sights – the Cathedral, Vecchio Bridge and the Royal Palace are all located within walking distance of each other. Florence’s top galleries and museums, the Uffizi, Accademia; Leonardo da Vinci Museum and many more are also dotted around this area. For accommodation, the historic center is the natural choice for anyone taking a short break to the city, or whose main reason for visiting is the beautiful sights in this area. Plenty of apartments are available close to Santa Maria Novella, the main train station, which is also 5 minutes’ walk from the Cathedral and Uffizi Gallery. As everything in this area is fairly close together, the exact location of your accommodation isn’t the most vital factor. The busiest areas are at Piazza San Marco, Piazza Santa Maria Novella and the area around the Vecchio Bridge. Oltrarn; a less crowded area on the south side of the river is also a great option. This is an area of narrow streets which haven’t changed much on the outside for centuries, where you observe master craftsman applying their skills in artisanal workshops. The best areas for nightlife in central Florence are Santa Croce, particularly Via dei Benci or the Piazza Santo Spirito in Oltrarno; A beautiful square where bars and restaurants stay open until the early hours. The central area is packed with quality restaurants; the daily food market on the streets outside the Cathedral is also a great place to pick up a bite to eat. Visitors looking to remove themselves a little from the tourist areas might try one of the city’s outlying districts. Accommodation in these areas is generally a little cheaper, and visitors will get the chance to see a bit of what life is like for the real Fiorentinos. If you are coming to Florence by car, it’s also well worth considering a place a little further out, as the Historic Centre is heavily pedestrianized. Parking spaces are few and permits are needed to drive into most of the central areas. Florence’s compact size means that plenty of its suburbs are still within walking distance of the Cathedral. The historic center is surrounded by a ring road. Any of the areas on the outer edge of this are still within 20 minutes’ walk of the center, Florence is a safe city on the whole so there are no particular districts to avoid. If you’re planning to see a bit of the Tuscan countryside as well as the city, one of its many outlying villages and quaint mountain cottages can make a wonderful place to stay. Tuscany is one of Italy’s most beautiful regions, perfect to enjoy relaxing in the peaceful countryside after a day of sightseeing. Another advantage of heading out here is the extra space: Properties are likely have a parking space and garden, some even have swimming pools. 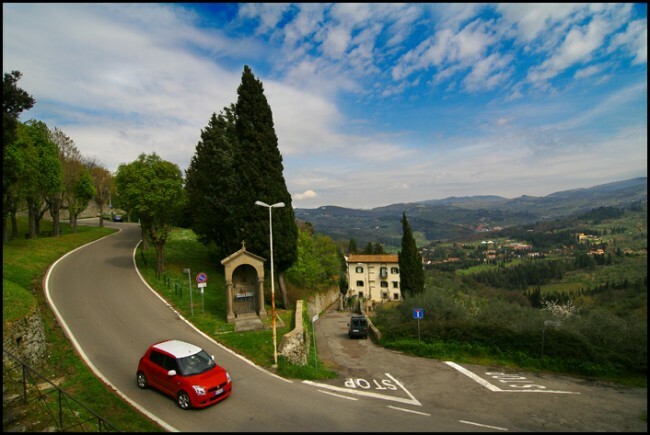 Fiesole is one of the most highly recommended places; a gorgeous village with historic ruins dating back to the Etruscan period, before the Romans arrived. The village is well located for exploring the countryside and is just 20 minutes’ drive, or a 30-minute bus ride, from the center of Florence. Rufina is another Idyllic mountain village with a few shops and restaurants, as well as a direct train into Florence. For slightly larger settlements, which still their peaceful countryside atmosphere, try staying in Impruneta or Figline Valdarno. Most of the villages have fairly decent public transport connections with Florence, but if you plan to explore more of the countryside it is advisable to travel by car, or to cycle if you’re up to the challenge.